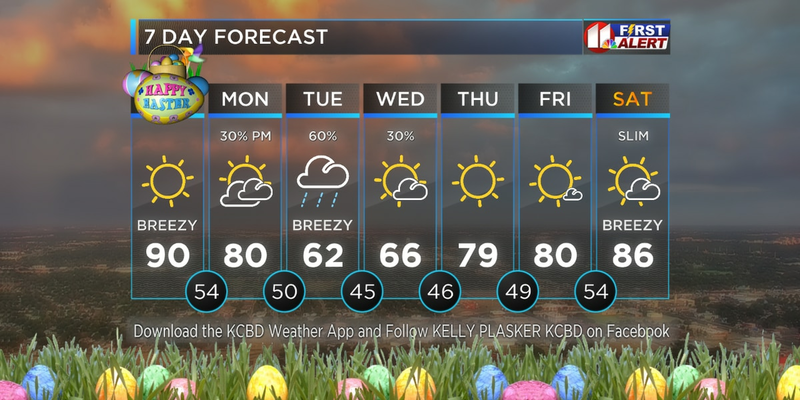 LUBBOCK, TX (KCBD) - Warmer this afternoon and warmer tomorrow afternoon. At least by a little bit each afternoon. Winds will remain light today, with just a bit of a breeze around sunset this evening. It will be breezy tomorrow, with speeds from about 10 to 20 mph from late morning through the afternoon. I hope you enjoy the sunshine both days. Weather changes will follow. 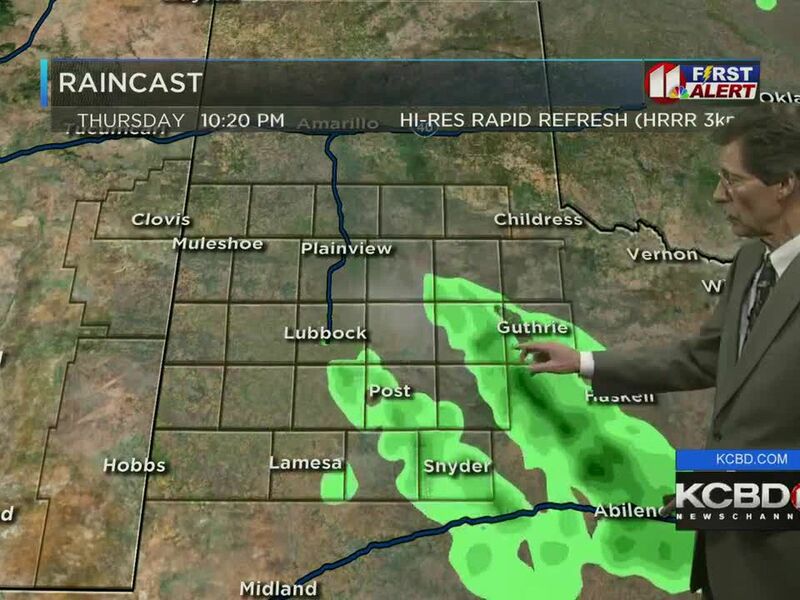 A slight chance of rain returns to the northern KCBD viewing area late Tuesday as a weak weather system brushes by the Panhandles. The slim rain chance will linger into Wednesday morning. A slight chance of rain returns to the viewing area Thursday, though favoring western areas until late Thursday or Thursday night. Thunderstorms are likely Friday and Friday night. At this time there is no clear signal to call for severe weather, but this time of year we should consider it a possibility anytime there are thunderstorms. Thunderstorms or showers are likely to linger into at least Saturday morning, and perhaps through the afternoon over the eastern viewing area. As nice as yesterday was some people are asking about Spring planting, have we seen our last freeze of the season. The answer to that is, not likely. For Lubbock specifically, the average date of the last freeze in Spring is April 10. But there's quite a range to when the last Spring freeze occurs. The earliest (last-freeze in Spring) on record is February 24, which happened in 2012 (previous to that the earliest was March 12, 1935). The latest on record is May 8, back in 1938. Dates trend earlier to the northwest of Lubbock and later to the southeast. When considering the 2012 date just mentioned, keep the following in mind. The following year, 2013, Lubbock had a hard freeze (27°F, which caused considerable damage to early Spring growth) on May 3. In addition to a record low for the date, it also is the record low for the month of May, it is the coldest temperature that late in the season, and it is the fourth latest freeze on record in Lubbock's more than 100 years of record. It's usually safest to wait until after Mothers' Day to plant cold-sensitive vegetation. With the start of Spring just two days away 80-degree temperatures aren't far off. You won't find them yet in our extended forecast, but you will find some days in the 70s. 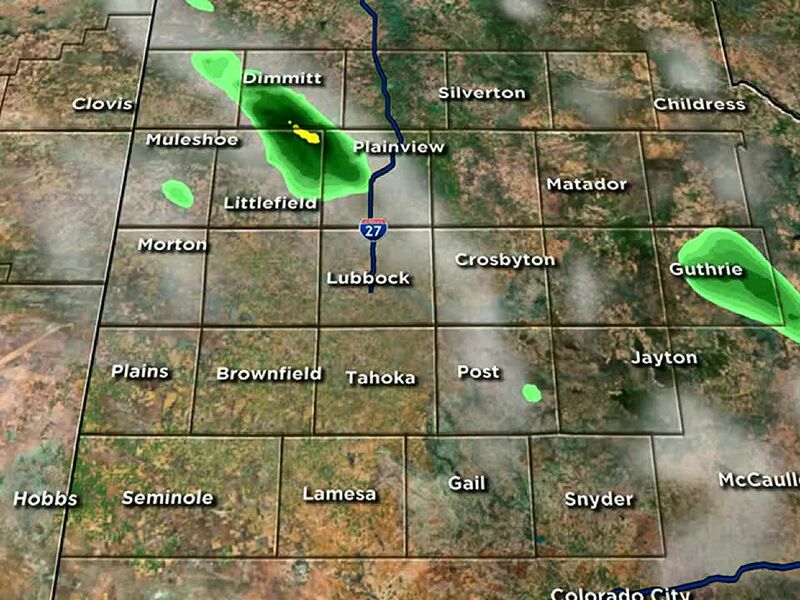 That forecast and more is right here on our KCBD Weather Page. Lubbock’s low yesterday was 43°, six degrees above the average for the date. The high was 62°, five degrees below the average. The March 17 record low is 18° (1917 and 1970 and the record high 90° (2011). For today, March 18, Lubbock’s average low is 37° and the high 67°. The record low is 11° (1923) and the record high 88° (1916). Today’s sunset in Lubbock will be at 7:57 PM CDT and tomorrow’s sunrise at 7:53 AM CDT.